Gardens are one of the most important elements in the cultural history of Scotland. Like any art form, they provide an insight into social, political and economic fashions, they intimately reflect the personalities and ideals of the individuals who created them, and they capture the changing fortunes of successive generations of monarchs and noblemen. Yet they remain fragile features of the landscape, easily changed, abandoned or destroyed, leaving little or no trace. In Scotland's Lost Gardens, author Marilyn Brown rediscovers the fascinating stories of the nation's vanished historic gardens. Drawing on varied, rare and newly available archive material, including the cartography of Timothy Pont, a spy map of Holyrood drawn for Henry VIII during the 'Rough Wooing', medieval charters, renaissance poetry, the Accounts of the Lord High Treasurer; and modern aerial photography, a remarkable picture emerges of centuries of lost landscapes. Starting with the monastic gardens of St Columba on the Isle of Iona in the sixth century, and encompassing the pleasure parks of James IV and James V, the royal and noble refuges of Mary Queen of Scots, and the 'King's Knot', the garden masterpiece which lies below Stirling Castle, the history of lost gardens is inextricably linked to the wider history of the nation, from the spread of Christianity to the Reformation and the Union of the Crowns. The product of over thirty years of research, Scotland's Lost Gardens demonstrates how our cultural heritage sits within a wider European movement of shared artistic values and literary influences. 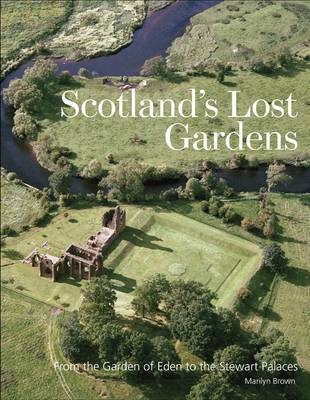 Providing a unique perspective on this common past, it is also a fascinating guide to Scotland's disappeared landscapes and sanctuaries - lost gardens laid out many hundreds of years ago "for the honourable delight of body and soul".